Thank you. Actually, my truck is super dirty. I haven't washed her in over 2 weeks. Waiting to do a few extra things before I give her a much needed bubble bath. Your truck looks quite spiffy as well. Last edited by DarthR8er; 05-29-2017 at 10:00 PM. You both have incredibly clean trucks! Didn't do much with mine today. Got her out, drove her around while running errands, and finally installed the new manual window roller crank (last time I was planning on installing it I couldn't remember where in the garage I put it, turns out it was in a box in one of my parts cars). Like I said, not much, but at least accomplished one thing today. 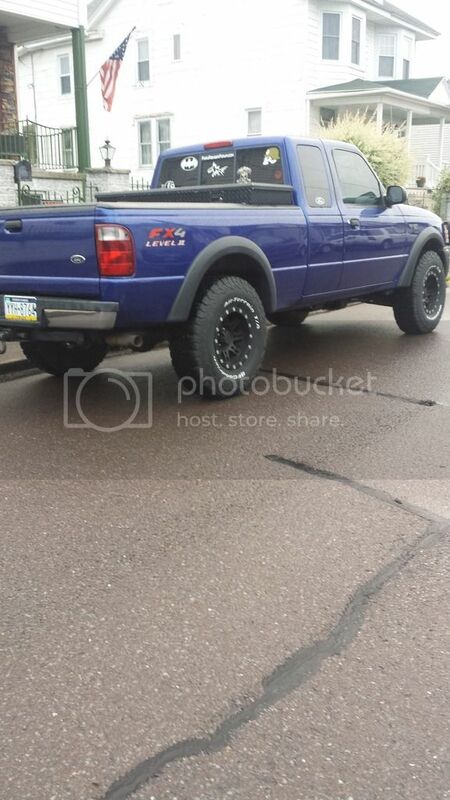 2007 Ford Ranger XL. 5 Speed MT. 2wd. 15x8 wheels. 235/75r15 tires. cleaned the headlight lenses again with much better results. Added directional signals to the third brake light. 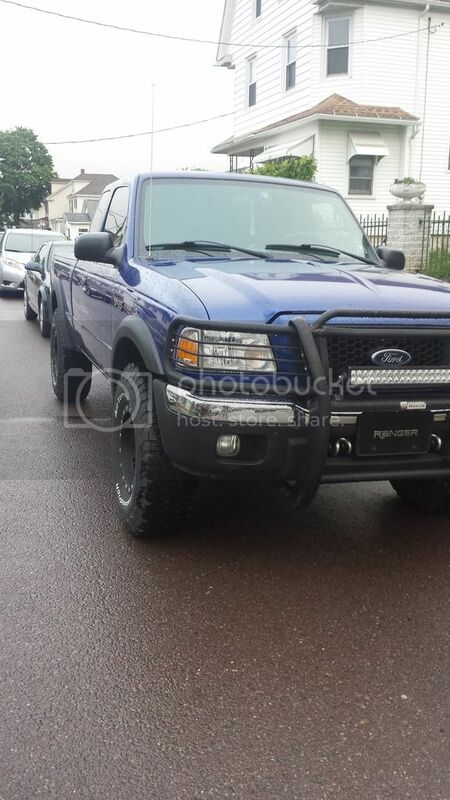 2005 Ranger FX/4 4.0 Auto. 160K. Ceramic Pads, Energy Suspension Polyurethane Sway links and bushings. OHC. Third Brake Light Directionals. KYB Shocks. Dipped and Blacked Out. Acme Projectors with Morimoto XB35 Ballast and Morimoto XB35 5500K Bulbs. Pretty sure I have the chirp of death. That's a cool 3rd brake light. Where did you get it from? OEM on the truck. It was leaking like they all do, so I removed it to replace the seal and discovered that Ford uses the backing where the sockets plug in the same as the ones with the cargo light. Empty holes where the sockets are supposed to be. Ordered two sockets on ebay with the intent of wiring all three for the brake light then got the bright idea to run wires up from the directional signals while installing the OHC. I'm sure others have done it here before but I have never seen it on any truck I can think of. You did a helluva job. Wish I knew how to do it myself. I'm worried I might short circuit something or else I would tinker with it. There is a how to for that somewhere on the forum, it's pretty easy to do. Nice looking Ranger. I just received some window decals and license plate frames from Racing Beat. I'm not a big fan of window decals but for some reason they look good on trucks. Yes, very easy to do, but most likely not have taken the time to do it if not already installing the OHC. I'm still debating if I should install the dimming mirror myself or have the shop do it. I'm not experienced working on anything electrical.